First, I just wanted to say THANK YOU THANK YOU THANK YOU! Those words just aren't adequate enough for the pure gratitude that I feel towards each and every one of you who took the time to leave a little love in a comment and left encouraging thoughts here, Facebook, Instagram, email, and more! LOVE YOU!!!! Let the next countdown until the Fancy Free by Paige Evans / Pink Paislee collection is available, begin!! As much as I love Halloween, Christmas really is the most wonderful time of the year! I love documenting our memories in layouts and thought it'd be fun to share some past holiday pages. 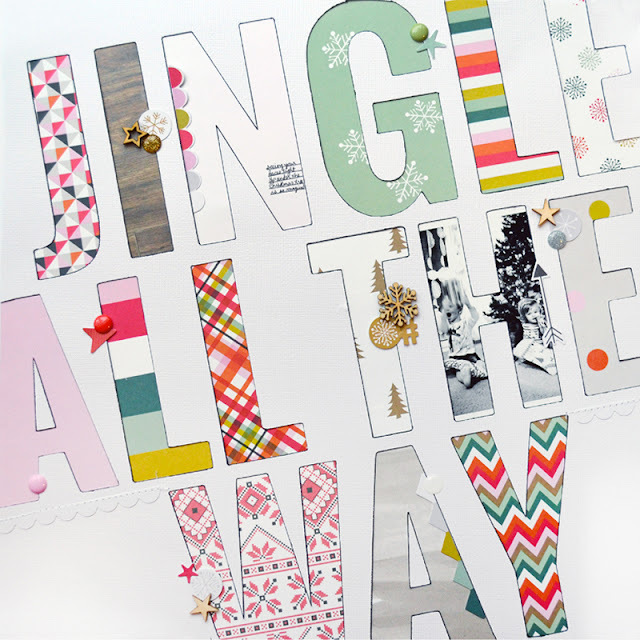 I backed a large title with funky holiday papers to make this bold layout! 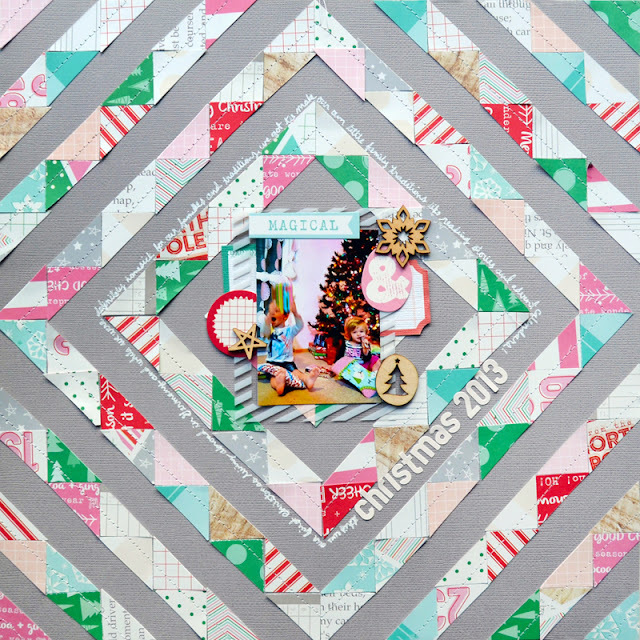 I was inspired by a quilt for this layout and pieced together little triangles to make this page. I created a "mixed media" background and then layered like-colored embellishments on top! Here I trimmed patterned papers into pennants and layered them in a shape of a Christmas tree for a background focal point. After trimming patterned papers into thin strips I arranged them in the shape of a star on a white background for a dramatic effect! I die cut a large snowflake and then backed with with tiny pieces of torn paper in non-traditional holiday colors for a fun look! I trimmed uneven strips of patterned paper and layered them into a, you guessed it, Christmas tree shape! I also glued the photos into a small Christmas tree. From the time Fox was sick with RSV at Christmastime. Torn paper strips line the top and bottom edges of this layout leaving room for a trio of photos in the middle. 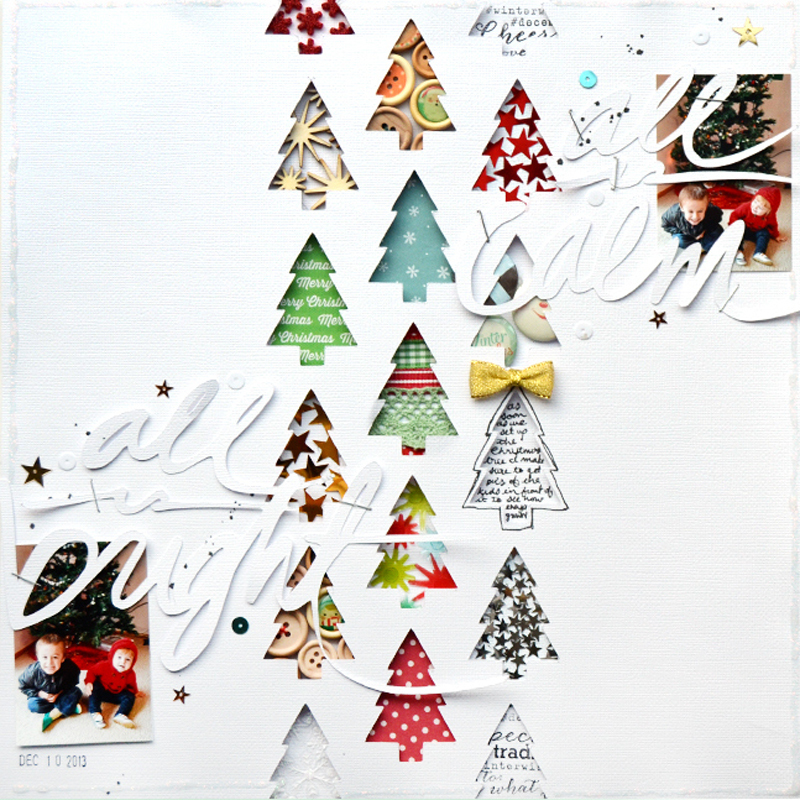 For this layout I die cut a bunch of Christmas trees and then filled each one with a little something whether it was patterned paper, sequins, buttons, badges, ribbon, journaling, etc. 4 more sleeps until Christmas! I love them allllllll! I can't wait until I get my own Cameo. Lol. 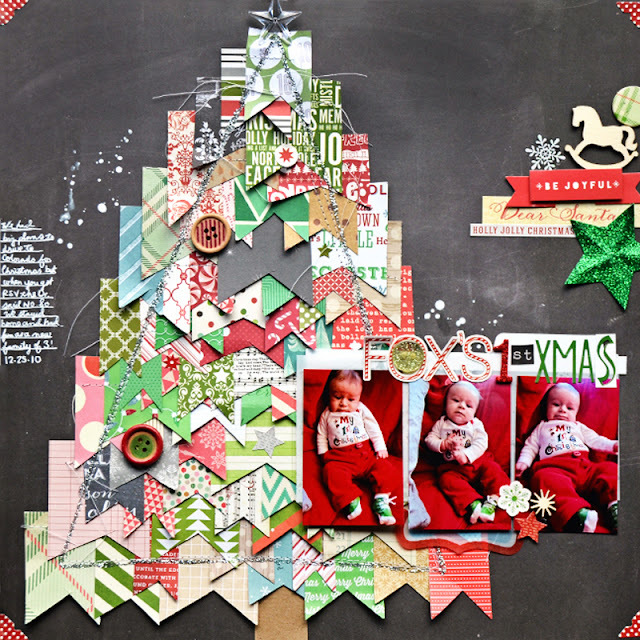 wow these really all are amazing..
My past Christmas pages are no way even as cute as these. Maybe this year's pages, I can get up to the trendy look. These are just awesome and so creative. 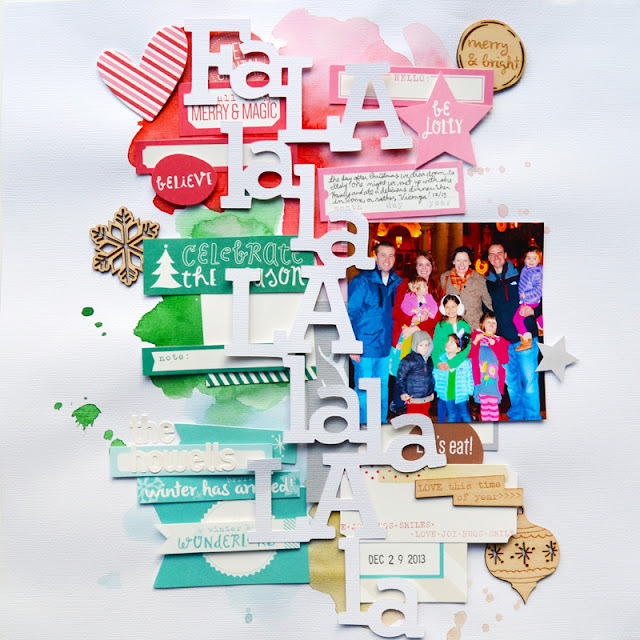 Thank you for sharing your gorgeous holiday layouts! You never cease to amaze.